Tenant’s length of stay in the incubator depends on evaluation of performance and commitment of tenants. Upon graduation or cancellation of the contract, they are expected to leave the incubator. Based on commitment and performance, stay needs to be approved by the Admission Committee Panel/members. At lifestylediagnostiX we are currently working on developing a tool called lifestyleX. LifestyleX uses advanced algorithms to predict your health risks as well as help physicians narrow down differential diagnosis. It can help your doctor offer better personalized car at a lower cost. In this way you and your doctor can focus more in reducing health risks and keeping your healthy. After all, is cheaper to prevent getting sick than treating an illness. What’s more! In the off chance that you actually get sick, your doctor will be able to diagnose your disease much quicker and accurately. This is because lifestyleX records key lifestyle information and uses this information to pin point what your body needs. Just as Hippocrates said “the greatest medicine of all is to teach people how not to need it” and lifestylediagnostiX is working hard to make this happen. Elephant is producing innovative applications that bring interests together. Using crowdsourcing, our apps are not geographically nor demographically bound. We are excited to have an innovative core team that ensures our ideas become reality. ATM Augmented- AR Vision is an idea of an application through one of the latest technologies, called “Augmented Reality”. This application will enable each banking client accessing his/her bank account through NFC (Near Field Communication). The pin code of the card is going to be given, then by opening the camera of the phone or tablet and focusing the camera on the bank card, the bank account will be displayed in 3D format, where based on the amount own on the account, different characters will be presented in 3D format. As well as advertising videos, prize winning games and many different promotional items of the bank. Odds of Roller is a mobile application as well as a platform for data gathering and processing in order to channel the information and feedback in the most efficient manner between the provider, the general public, and the end users such as private businesses and public institutions. The app can be downloaded in smart phones (iOS and Android). Our company “Scooler” deals with Web and Mobile Application Development. The main purpose of our company is helping and supporting the youth respectively in the sector of Education by using the latest Technology. PeShes is an online sales platform where all citizens can post their products or services on sale. We enable and assure that the products sold are all in terms of description and without damages. The seller will have easy access for registration or posting the product for sale, and buyers will also be able to search for the products they are interested in. If the buyer wants to buy a product, we will ensure that the product reaches its home within 24 hours by providing them with transportation and that their driver will be in a good condition. Otherwise, the financial means are returned to the buyer. In addition, we will also provide affiliate marketing where individuals or small companies can generate revenue from marketing using our system. TE PEMA aims to raise awareness regarding air pollution and improve its quality in outdoors as well as indoor environments. This is achieved through a combination of technology and flora. Our formula is TECHNOLOGY + ECOLOGY = EFFICIENCY. We have developed a product called TE Pema T. “TE PEMA T “is an awareness-raising technological product that improves the quality of air also providing recreational space for fans of the nature. The product consists of the panel installation (Vertically housed Plants), around 250 plants with a high ration of air pollution absorbance, and the automated irrigation system that allows plants to be fresh all the time and purify the air at maximum capacity. What makes TE PEMA product even more interesting is that it cleans the air as much as 51 tropical trees. 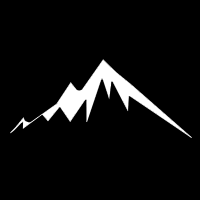 North Rock Studio is a Kosovar indie game development company based in Prishtina. 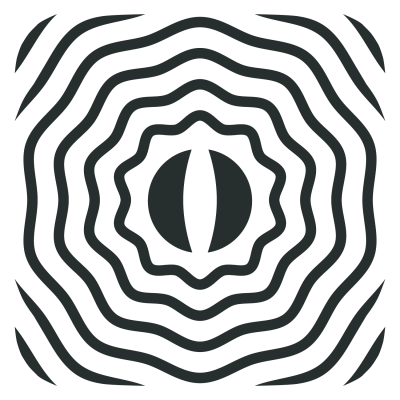 Founded in 2018 by Lekë Dobruna, the company creates multi-platform games and applications for PC, smartphones, tablets and the web. Currently, North Rock Studio is working on “Disrupt”, a video game which will be released in June 2019. Orb Mag is an online music and community magazine covering a wide range of alternative music, art, and culture. Fenix Shop Online is a e-commerce platform which offers for sale a wide range of varied products: Electronics, Household, Accessories and product As seen on TV. Our mission is to change the way of buying by offering customers a different concept of purchase. 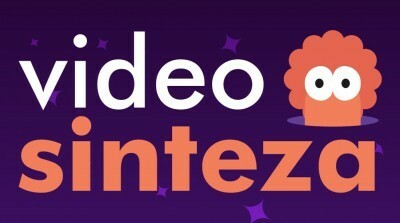 Videosinteza is an alternative education platform that bridges classroom subject matter topics with positive daily life experiences for students in class VI - IX. 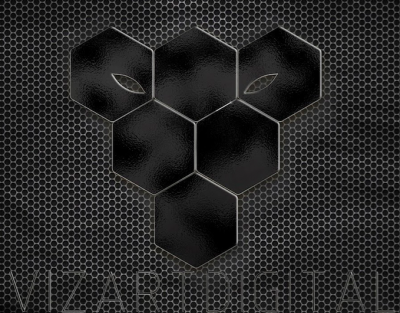 Videosinteza team creates video-animation presentations developed specifically to focus on important societal topics, such as: science, technology and social sciences, with a goal to inform, enlighten and create social awareness through community engagement. 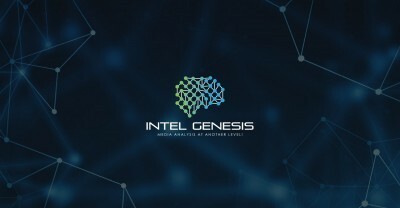 Intel Genesis (IG) is a startup founded in 2018. It was founded with a sole mission, to transform Media Monitoring into another level, applying digitization of services which adds accuracy to results. IG’s main product is Intelligent Media Monitoring (IMM) which is an integrated software solution with a core Artificial Intelligence(AI) driven technology. It automatically and accurately monitors audio, visual and textual content. IMM scans the original samples of audio(radio), visual(TV) and textual(web) content and then with the help of AI matches it to the channel feed. This way the software automatically detects and recognizes if the original content was broadcasted at it’s media type. Our initial mission is to set Media Monitoring standards in Kosovo, afterwards to offer our services on the broader regional and international markets. We developed a proprietary analysis model that synthesizes a large number of public and confidential data to provide powerful rail price analytics. Our goal is to help freight rail shippers reduce their transportation spending by enabling them to analyze, negotiate, and retain lower freight rail prices. 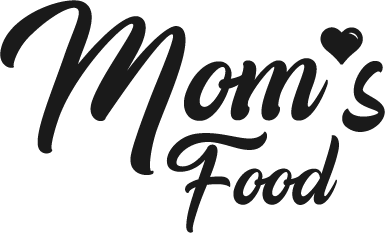 Mom’s Food is a digital platform that aims to provide food prepared by moms, from home kitchens. This service will be provided by a smart phone application. The vision is to provide a unique service offering fresh foods from professional women. Fatural is an online invoicing application for small-businesses around the world served as Saas. It offers a plug-and-play approach to creating invoices on the fly. In addition, clients are able to receive payments via PayPal and Stripe via Fatural. Run by a team of experienced designers, developers, and financiers in the world of software products, Fatural serves clients in all parts of the world and offers a top-notch customer care. IrisX is a decentralized digital advertising network based on ethereum blockchain. 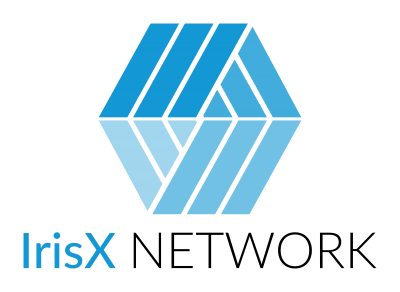 IrisX offers solutions for different types of digital advertisers and publishers by using state-of-the-art technology that ensures privacy, integrity and transparency. Kosovar cold storage providers lack decent presentation for their products in domestic, regional, and international market, causing impaired damages to the economy of Kosovo. Considering agriculture to be a core component of any country’s GDP, the situation of this sector in Kosovo is displeasing, leaving much room for improvement. In our attempt to solve this problem, we are established with the sole purpose of developing a highly attractive web page which will serve as an online market place, which would decently present the products of the kosovar cold storage providers to the European and worldwide retail chains and food manufacturers. to expand the network even in regional countries as Albania and Macedonia. Smart Home Europe is concentrated in the field of building technology for digital networking of buildings and facilities, enabling the transformation of each home and workplace into an intelligent environment to increase comfort, security and energy efficiency. Smart Home Europe uses Power Line technology from Digital Strom and promotes networked intelligent and cognitive systems, including in activity and research, development and teaching (in the field of intelligent networked systems). Smart Home Europe offers Smart Home and Smart Living Service, residential in intelligent network, sustainable and energy-efficient construction. Other actives are: provision of system maintenance services, scientific information exchange, launch of products and projects, realization of workshops to initiate research and development projects, community awareness on the benefits of implementing smart systems, providing of support services for development and evaluation of technology. 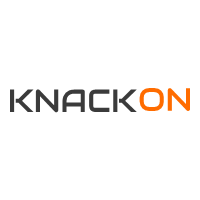 KnackOn is a group of 6 developers that work to make fast, beautiful and efficient web sites and web applications. Our project FlyHigh is aimed to make a new platform for purchasing tickets online while also being a social app. With FlyHIgh we also want to address the problem of protecting flight passengers and inform them of their rights when their flights have been delayed or canceled. 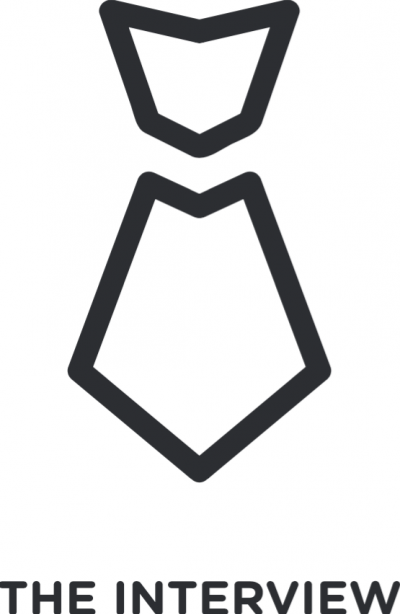 Nerdy helps Shopify and Wordpress merchants with maintaining their eCommerce. We offer service that’s quick, reliable and within 24h through the Nerdy platform. Trust in Nerdy so you can focus on running your business!. Specialized in social media platforms we create and implement content and marketing strategies for businesses in order to empower their presence online and help them grow. Our product is an E-commerce website/Gift Shop Online called "Dhuro Dashni". Dhuro Dashni is a multivendor website composed by local business who sell: flowers, chocolates, personalized, handmade gifts, accessories etc. So, customers will have the opportunity to choose between multiple options of gifts. The aim of our product DhuroDashni is to bring the international era of online buying by offering to buy gifts online very fast and easy, and in the same time offering local business to grow their businesses online. Hence, our aim is to bring something new to the market, offer new employment opportunities and help business grow by selling online which will help overall economy of Kosovo. V-Save which tells the owner how much energy the device plugged on “V-Save” has spent on a certain time. Let alone that it allows him to turn the device on and off by his phone not only with a button but also by voice commands. He can also set a timer so the device will turn on and off automatically based on the timer. By the way, this is just the beginning, in the future we are coming with more smart devices, apart from “V-Save”, to create a smart home low price without compromise. IUVO Sports mobile application is a location based platform where people create their profiles based on the sports they like. It creates a community of people with to achieve active lifestyle where they motivate eachother to participate in sport activities. IUVO locates your partner with the same interest in sport and organises your activities to be more fun and social. “Enchele” is company that develops technological products in order to facilitate the use of home appliances and increase security on house. 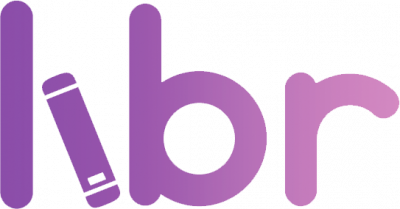 E-bileta.com is an online ticketing platform. We are building e-bileta.com for the thousand of music and sport fans who want to be part top quality products and events happening in Kosovo and region. We enable event presenters to create, manage, sale tickets for events online through our unique proprietary services, E-bileta.com delivers quality control, customer service, growth potential and competitive advantages in the market. Why Zombie Soup? We find ourselves driven, with a constant hunger to create and evolve. We specialize in the right ingredients such as artificial intelligence or virtual reality. A mixture combined with the void of ideas wanting to be realized, but such a dish requires the knowledge of timing, collaboration, growth and an agile foundation. The final product – a soup of engagement, addictive by design. In its DNA you can sense all of us, our hunger to impact the enduser experience and its viral spread. Bitsapphire is a company that believes in the future. It was created to become part of the change that awaits us tomorrow. Society was changed fundamentally with the creation of the internet a couple of decades ago. We have been using it to our benefit to improve our lives significantly. One of the most important steps that society has taken in utilising the internet has been happening very recently, by building something on top of it, to give even more freedom to people, in addition to information. This is Bitsapphire’s purpose. To foster and provide development expertise of Distributed Autonomous Corporations (DACs). This idea of having databases distributed anywhere in the world, working in tandem to register the movement of data, and providing the possibility to make those databases open or not, can provide opportunities to create virtual currencies, file verification systems, securitization platforms and many more endless possibilities that have yet to be thought of. Our company develops products and provides the knowledge and people to companies or individuals that have ideas for products built on DACs. In addition to that, we can also provide additional support on top of our primary service, such as blockchain consulting, branding, web development (front and back) and even crowdfunding guidance. Our company has been through all of those stages numerous times, and our experience can be easily passed on. Solaborate: It is a long established fact that a reader will be distracted by the readable content of a page when looking at its layout. The point of using is that it has a more-or-less normal distribution of letters, as opposed to using ‘Content here, content here’, making it look like readable English. A team of eight, we’re the enthusiasts of design and technology, whom strongly believe that 3D printing may soon do for manufacturing what computers and the Internet have already done for the creation, processing and storage of information. We believe that affordable robotics and 3D printing is the next technological frontier of this century, therefore being a part of the industry is a must, and we’re here to stay. Kokrra is a team based on providing services on VFX, 3D graphics, animation and visual effects. Kokrra’s customers are marketing companies, video-making companies, and television studios but also companies and clients interested in making 3D ads and marking. ZAG Apps startup company offers solutions for mobile phone applications, including the whole process of app development for iOS and Android platforms. ZAG Apps also can create webpages, web application with a main focus on development of apps for mobile smartphones. Their clients are worldwide. Sevensigns is a startup focuses on building web applications that make peoples lives easier. Their first product is called Sumthesun, a platform that helps house owners to decide on solar panel installations by guiding them through the process. 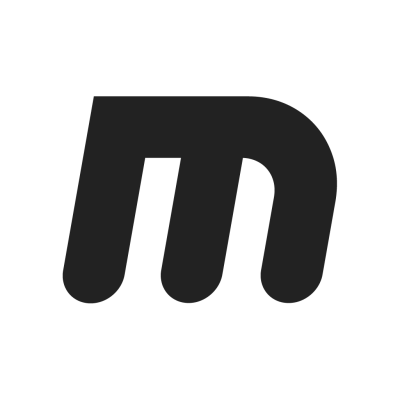 The team is formed by Mendim (web developer) and Erblin (web designer). We hope to develop as many high quality applications as possible and share them globally. jCoders Academy: is on a mission to teach technology to the youngest starting from age 8. We strongly believe that coding should be part of every child’s experience. In providing coding and technology teaching to children of these ages we believe that we are going to boost the use of technology in more creative ways, and raise the probability of local great innovators. We offer an alternative road to learning technology from what schools provide, we are dedicated to bring the latest available tools to make teaching of technology fun and interesting for the next generation of Kosovo. In jCoders innovation and creativity is inspired by allowing kids to bring their ideas into our main activities, thus enriching the experience of creating and leaving kids with the feeling of accomplishment, that indeed they have created something of their own self. Rolling Rabbits are a creative team that specializes in mobile and web application design and development, UI/UX, creative direction for both mobile and web applications, and all-inclusive brand identities. They are the team behind Elly, the new way to shuffle online music from your mobile device and now they are creating a brand new version of Elly dubbed Elly 2.0 with top-notch machine learning algorithms and it will be a feature-complete release. Ditari Digjital (DD) iss a mobile/web app called “Ditari Digjital” designed for any Academic Institution which strives for transparent efficiency. Based on a tablet, web-interface and backlog server, Ditari Digjital serves as a real-time performance monitor for each student and parent. Ann app which encompasses all administrative inputs designed for modern studying techniques for teachers and students alike. Goodwerp is a suite of online products tailored for small-business consultancies around the world. Current tools include: project management, deals, and finance. These tools can be used as a single entity or as a whole. The benefits of running these essential tools under a single platform gives our clients the ability to receive real-time feedback on the performance of their teams, projects, and business. Goodwerp’s stellar customer care, fast deployments, an agile team, low overhead, and ease of scaling make it a solid contender in the global scene. Its true potential relies in serving the undeserved global small-business community with tools and solutions that are a necessity in running a lean business. Click Group’s working capacity will be focused on the idea and concept similar to Kosshare (File Hosting and Sharing). Other services that the company provides are; SMS Marketing, Email Marketing, Web developing and IT support. iziSurvey - is a software platform that offers the ability to easily create custom surveys with innovative features while drastically lowering data collection costs and minimizing human error. Hello World is a Start-up company specialized in Mobil & Web Gaming industry. Hello World is building a game application for Facebook platform and mobile platforms such as: Android, iOS and Windows Phone. TeamsID: A web application that allows secure saving and sharing of passwords. Central user management and access controls are key for this product. 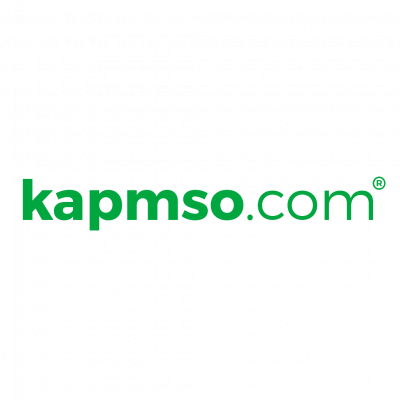 There are a few password managers for personal use out there. Our product targets enterprises and teams that require to share passwords, for example when multiple people need access to a server. Our products solves a couple of problems such as: Will each user that needs access to the password store it in a secure manner?-What happens if you update the server password?-How do you share a password across a team? Email? Phone? Darts IT Security is a company which provides services in the sectors Network Security and Web Security. These include but are not limited to Penetration testing, Security awareness, Secure development training, Information security management system -ISMS, Secure coding, Security consultancy etc. Mjeku.net is not just an informative portal on medical issues, it is a place where people can find specific answers that are related with medicine and health. WuuGames is the first company from Kosovo focused to develop cross-platform video games. WuuGames’s first 3D game was “REBORN”. The game storyline is based in Prishtina and players through time travel can explore ancient cities like Durres, Kruja, Berat. ICE Clean is an individual business, which will provide services for industrial cleaning with dry ice in most of the industries such as: food industry, pharmaceuticals, electrical, woodwork, automative industry, airline industry, rubber and plastic industry etc. Shpejt.me is an app that functions through a GPS that connects people with different restaurants from various neighborhoods in Prishtina. Ion Coders is a mobile develop company specialized in creating apps for iOS and Andriod platforms. Ion Coders have developed custom mobile applications for several businesses and looking to expand the business. Pintron is a newly founded and family owned company that is woking in the first specialized online platform for searching healthcare services in Kosovo. Pintron seeks to penetrate the marking and promotion market for the needs of healthcare providers. 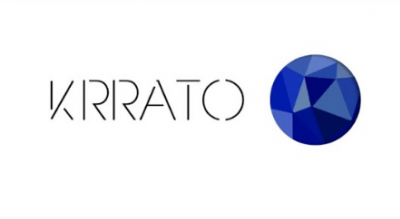 PUNTORIA (Pishpirik) is a company for developing video games for Facebook, iOS (iPhone & iPad), Android and Windows Phone. At the beginning, they are developing the card games that are popular in the Balkans such as Pishpirik, Zhol, Bunar, 7she, etc. They have already developed Pishpirik. Smart Squered is a winning team of Prishtina Startup Weekend organized in May 2012. Smart Home has been established based on the idea to provide solutions and integration of modern electrical equipment in homes. 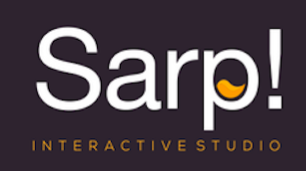 Sarp Studio is a new startup who aims to develop web applications/themes. Srap Studio’s main target is Envato Marketplace at the Theme Forest category. A brother and a sister putting their experience, minds and excellence together creating AnketaCo. The traditional is fading away, and this has led us to engage in developing the Brain RDRP, which represents a cloud-based analytical tool that addresses most of the shortcomings of traditional research. We believe in smarter way of collecting information, taking care of the environment, and making great B2B collaborations. IT CENTAL is a company based in Leposavic. Product marketing through 3D Animation in Mobile Application with Augmented Reality - Google Cardboard, as well as Virtualization of architectural projects. AR and VR marketing provide a contemporary marketing model with the latest technology. Virtualization of architectural projects will allow architects to present their final projects visually, in 3D and through Google Cardboard, Oculus or Samsung GearOne. Our team also create Mobile Applications in iOS and Android. Architecture for Humans is an interdisciplinary design studio based in Prishtina, operating within the fields of architecture, planning, urban space, interior design, research and publications. The main project by Architecture for Humans is Modicular, which offers smart furniture and accessory designs for people with specific requirements as well as people with disabilities. There’s six of us and we started the company Libr. Libr is the first interactive book-sharing platform of its kind. With the use of mobile geolocation technology, people will be able to leave books in random locations and other people can track and take them. Social networking and competitiveness, making the mobile app educational and entertaining at the same time. 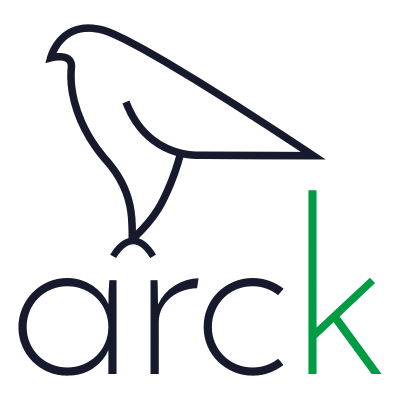 arcK is composed by a team of engineers, sales strategists and entrepreneurs. The purpose with the company is to develop hardware, firmware and software, offer specialized consultancy services and engage in activites that create global products. We love innovating technology and whatever we do, we do it with pride and dedication to serve our users. 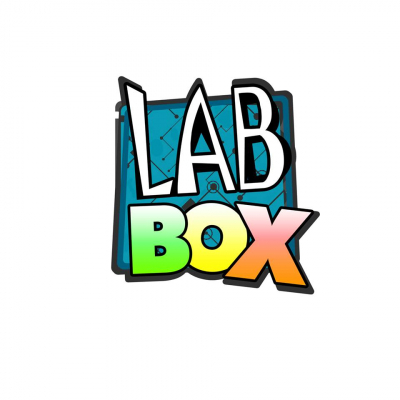 Labbox is an edtech product that is both playful and technical. Labbox offers a real world learning opportunity for ages 8 to 18 to learn programming and electronics at home or in school and enables them to unleash their creativity and be prepared for the 21 century challenges. Labbox is a toolkit - a series of boxes that contain stories and electronics to enable kids to build projects and toys. Every Labbox contains a set of electronics, cardboard or wood for kids to explore the same solutions as the characters in accompanying comic books. They will be guided to understand the decision making of the characters through stories that show empathy, support and teamwork in unknown situations. To enable and unleash the power of creativity in kids we created an electronics solution that is modular and composed of electronic units that use magnetic connections and make complex technology accessible and fun. Together they can be combined in a million ways and empower kids to create anything, by guiding them in proper solutions through indicators that help them troubleshoot their design. fun, adventurous and inviting to every child. Sign your sensitive documents without sacrificing your privacy. The first fully distributed e-signature solution for sensitive documents. 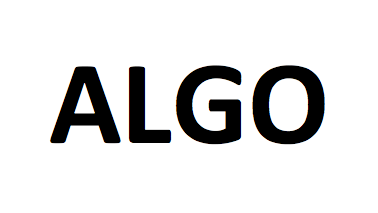 Algo is a company focusing in enterprise solutions that incorporate data science, algorithmic optimization and artificial intelligence. The type of problems that Algo addresses range from predicting trends, recognizing patterns, generating valuable insights from data up to optimizing the use of companies’ resources through automation programs and everything in between. Algo Scheduler is a software developed by Algorithmics for managing and generating the time schedule of Universities and High/Elementary schools. Simply providing the necessary and customized data about courses, curriculums, instructors, rooms and other resources, the software will generate the best time schedule by minimizing conflicts, maximizing the fulfillment of preferences and optimizing the use of resources. “The first online gallery of art in Kosovo that aims to reveal the rich diversity of local art, from emerging talents to the most established art figures, from painting, sculpture to mixed media and installation. We aspire to promote, develop and present work by outstanding artists from the country and region and play a dynamic role in the cultural life of Kosovo. NAM is the connection between artists and art lovers! It’s a platform from which artists can benefit enormously, while increasing their visibility into a widest audience throughout the world and by assisting the artists in building their brand, social media, support them in protecting intellectual property rights and in the realization of the Certificate of Authenticity. 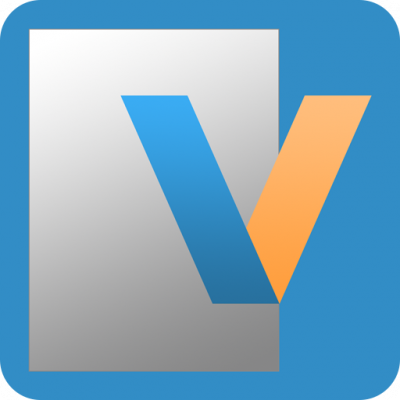 Vlera Network is a fully featured social network with e-commerce integrated to enable users to run branded online stores. It also integrates multiple listing module to enable users to trade stuff on various categories. Vlera will be easy and cheap to open an online store with a variety of brands. On Vlera currently exist four categories of listings: real estates, vehicles, items and tourism. The Interview is an innovative platform for Job seeking, which aims to revolutionize the job application process. The product consists of a mobile app, where the job applicants can search for jobs. Upon finding the job in which the applicant is interested to apply within the app, a series of interview questions appear in the phone’s screen. The camera is turned on and the applicant has a limited time to answer the interview questions. From the company’s’ perspective they will have access to all the videos recorded either via mobile app or a web-interface. The goal of the platform is to fasten the hiring process, while offering more qualitative data of candidates. Exemplary applications take place in Call Centers, where the companies would immediately recognize job applicant’s ability to speak foreign languages. Application is called TYTYT and the main objective is to tackle the traffic community. The product is intended to increase awareness and sensibility for traffic commuters. 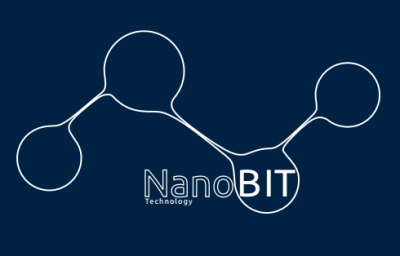 NanoBIT: The group came up with the idea of establishing a service called “intelligent assistant” that controls electronic devices through natural languages, in this case in Albanian language. Today this service is provided by several products e.g., Smartphones and Tablets, but only in several international languages. This represents the stage known as voice recognition of electronic devices and the understanding of the Albanian language from the same devices, which is more than 1⁄3 of the project. Have you ever wonder how you can make data useful? We are here to solve that problem for you. Our goal, first and foremost, is to help you be successful by taking the data you collect and transform that data into wisdom. By using the power of data analytics we help your team make accurate decisions, predict future events, outcomes and steer your business in the right direction. Regardless of whether you have small or big data we can guide you through the process of leveraging data and machine learning algorithms. Marketi is a platform to help sellers to sell products in simple and fastest way. Its powerful chat feature helps them to share details with interested buyers. With simple user interface, we have build Marketi for all generations.The Marketi app is the right place to find what you need. Search online among thousands of products and find what you are looking for exactly at the lowest price. With the Market app you can search and post your products for sale. The application feature is the communication platform between buyers and sellers, they can exchange messages between them and make deal-purchase deals. Buyers on a fast and easy way can find the products they need and also retailers have the opportunity to develop their online businesses within the app. Jamatu is an unique and revolutionary 360° platform, that assists organizing customized events (despite 10 or 100‘000 people) more efficient than the best agency or professional organzier could do. The Jamatu App is a market place in the sence of an ecosystem in a digitalized world. We are a small team of enthusiasts and our aim is to develop a new service with main focus on increasing safety and extending your fleet lifecycle. Our existing services are compatible for many different types of businesses, like transportation, distribution, mining, construction, waste management, taxi companies. We believe in optimizing the most important business challenges – time and money. We do this by improving efficiency and productivity of all our clients by innovating custom innovative software solutions and integrating complete system solutions. We’re three members and our company’s name is Platforma Akademia. 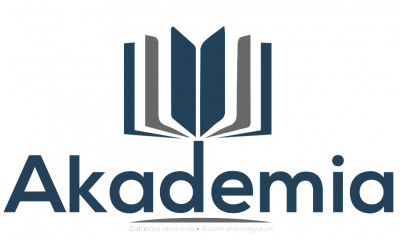 Platform Akademia is an academic platform that aims to provide two professional services for education sector in Kosovo. The two services are; 1. Electronic database and 2. Anti-Plagiarism system. Finger Market is a company that makes short 3D films and animations that represent our culture heritage and our general living style in rural place, carefully built 3D environments but character animations are satiric and full with sarcasm. 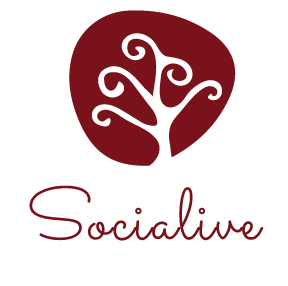 Socialive creates customizable and holistic digital marketing content and maintenance. Social Media Content Creation; Web Content creation; Social Media Monitoring and Analytics; Social Media Advertising etc. Prishtina Racing Cars is the only platform that offers latest news of auto technology and autosport of Kosovo. Our aim is to increase the level of autosport in Kosovo, and also to promote their competitors. Our targets are NGOs (as Handikos) and other schools that their students cannot attend physically in school. Our business is focused on delivering ICT products/services for healthcare sector, through launching these products/services we aim to increase access and quality of care primarily in health sector in Kosova. Also through applying the feature of reviewing of received services and patient reported outcomes function, we aim to contribute to improved governance and increased transparency within the health sector of Kosova primarily. Fin ON Tech is an online platform for all banking institutions – with special focus on mobile app (iOS and Android). N’kohë (In time) is basically a service that is created to save the costumer’s time. When the costumer registers his/her car (once a year) which is followed by a number of time consuming procedures such as, technical control, insurance, tax, confirmation as well as waiting in line in registration center. By using N’kohë all these procedures can take one day to complete and with one notarized authorization the client will be able to transfer to N’kohë the right to complete all these procedures for him/her. Four young Computer Engineers looking to leave a mark in the information and communication technology community through our abilities in game programming, mobile development and web development. Our team dominates with flexibility, serious and commitment in our work. We are a very well proven team with which we’ve accomplished and successfully finished several different university projects together throughout our studies and now we are looking ahead to prove ourselves in the industry. A highly motivated software development team. Dedicated to building, delivering and maintaining efficiently web, Android and iOS applications. Pikpress as part of Pik Media’s business is aimed at empowering culture. This medium identifies cultural events in country level and beyond, and reflects them on the web site and social networks. The media has gathered a professional team which belongs to the world of art. Willing to add as much cultural activities as possible, as well as media coverage, Pikpress.com has engaged people from all scenes of art, such as: playwright, screenwriter, actor, journalist, art critic. All come from relevant fields. “AutoPjesë” (AutoParts) is an electronic intercession between customers and autosparts, which saves time by allowing you to find the best and cheapest car parts on the market. Autopjese-ks.com is the most requested site in the Balkan market in the field of autoparts and intercession / online. E-Librat is created by a team of four young women. It is an online web-application developed to provide the client with the opportunity to buy and read digitized, albanian books. With the intentions of later creating our audiobooks and own merchandise, we are currently working towards finishing the platform but need help with the online shopping server that would allow us to sell our products within and outside the country. Kujdesi.com is an online destination that connects families with caregivers for care services in a fast and reliable way . Kujdesi.com provides information and tools to help care seekers and care providers connect and make informed decisions. The process starts with the application of the care providers in our platform, who pass through experience verification and an interview in order to have their profiles created. After the profile for service providers has been created he/she will be listed to families (care seekers) whose service request match with his/her profile. Drixy Studios is a company that has been developing innovative custom software and hardware since 2013. With our team of expert engineers and artists that are based in Prishtina and New York, we have designed and developed products including enterprise software applications, video games, and consumer electronics. gxRecs is a personalization and recommendation platform. It uses Artificial Intelligence to learn the user’s taste and liking by using their interaction with your website or app and the content they are looking at right now to personalize their experience by recommending them content they would be most interested to seeing or buying. The platform helps businesses increase customer loyalty, cross sell, up sell, customer engagement and the number of returning customers while helping the customer find the content they are most interested in very easily, offering them a great user experience and personalizing the experience specifically for each of them. Sentry is the leading cybersecurity company in the Republic of Kosovo, offering 360 degree services for digital defense and corporate cybersecurity. 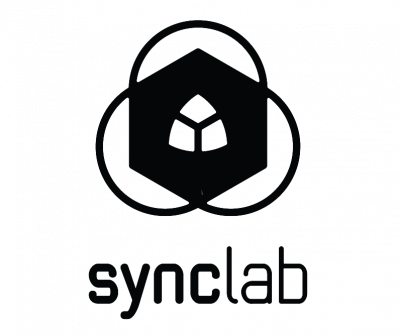 Their approach breaks the molds of traditional security businesses by acting as a research lab for its clients in order to provide specially tailored services. Cyberlance is a spin-off company of Sentry providing next-gen education for cybersecurity worldwide. Happy Feet LLC is a company established by three fabulous women who love shoes and want to help women around the world choosing the perfect shoe size. Their mission is to increase the confidence of people while they are buying shoes online, in order to avoid the problematic process of returning the shoes back to the retailer. They are developing a mobile application called “Happy Feet” which enables a personalized shoe fitting experience, accessible to anyone with a smartphone. With “Happy Feet” you can scan your feet and get suggestions for the right size and styles of shoes for your particular foot shape. As a result, you understand what styles of shoes fit your particular foot shape and get redirected to buy them from different merchants. 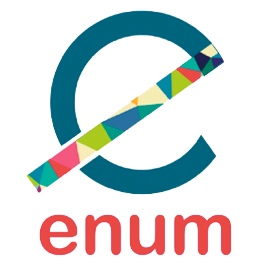 Enum is a software/hardware development startup headquartered in Pristina, Kosovo. At Enum, giving the best software and hardware solutions is our way of working. Our technology experts are able to add real value to projects of all kinds, from high-level enterprise architecture to HTML5 and mobile development. We believe that we have to care for things that we love, that’s why we are developing NEO a smart collar for pets which will help pet owners to know the location and health condition of their pets. Rruci Technology’s business aims to manufacture and sell inventors, equipment, as well as innovations such as solar drone, electric cradle, equipment for warping electronic devices, 3D printers. Aldeom is a Fintech specialized in Blockchain and AI based solutions for institutional clients across the world. Our newly developed and patented innovations enable our customers to maximize cost efficiency and minimize risk. Through our multicultural and high specialized team our aim is to enhance market efficiency and to strengthen cross border businesses. Doktoret.com is an online healthcare platform helping patients to find local healthcare providers online and book appointments. Plain and simple; search for a doctor in your area, read what other people think about them and book an appointment. 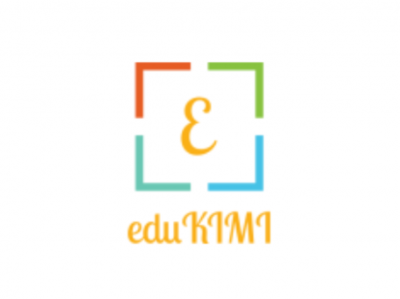 Edukimi is an app/service (mobile and web based) which would make learning abstract ideas in science through fun and intuitive ways such as animation videos, quizzes, puzzles, reward points, levels etc. The learning process with this new app will go step-by-step from the lower level of difficulty using special algorithms for predicting next question based on the answer of the previous question that will be chosen from the user. Part of the app will be introduction reading text for every chapter and also an explanation for every correct/incorrect answers to be easy to understand phenomena in science for beginners. AEP was founded by Alban Ejupi in 2016, initially in small electronic projects. With the involvement of Elhami Kadiri, the projects began to be elaborated in larger dimensions. The team took shape with Arian Rexha’s joining, where we started big projects that are being realized with more success AEP aims at the international market, with projects in the machine industry, in ecological and social systems. We are not a team because we work together , we are a team who motivate, inspire and push each other to the success. Onacad(Online Academy) offers practice exercises, instructional videos, and a personalized learning dashboard that empower learners to study at their own place in and outside of the classroom. We tackle math, science, computer programming, history, art history, native language, foreign languages and more. Our math missions guide learners from kindergarten to calculus using state-of-the-art, adaptive technology that identifies strengths and learning gaps. The Digital Medical Platform www.e-shendetesia.com has been developed to help the patient in solving health problems from stage 1 to complete recovery. It has also met all the requirements of the Clinics, to be more comfortable and free from technical obligations, so that they can contribute to the professional part. This project is in the process of digitizing all health services in Kosovo and beyond, building the health community. We have simplified the search, communication and localization of health services in order to avoid all the difficulties of the patient. To us health is everything. Hr bee is cloud base platform which enables job-seekers and employers to: seek, find and contract each other. Also employers can manage all HR processes with HR bee. It makes it easier to learn and to get access at any given time. The staff is professional and has a lot of experience in this field. There are more than one teacher for a subject. The fee for participation is merely symbolic. A chance for self-evaluation through testings (quizzes). It is committed to high quality instructional design and educational new media development, and provides a core deliverable of programs, courses, and learning objects for the distance education, distributed learning, and e-learning markets. 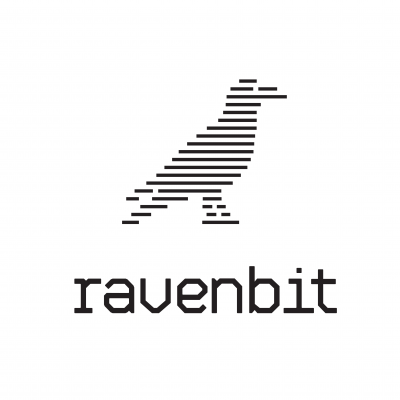 The company employs an object-oriented design methodology that yields flexible, scalable, and reusable content, supporting clients with rich, targeted solutions that are easily replicated and maintained. The idea behind Hej Taxi is to create a phone App (IOS and Android) for calling a taxi through internet and using GPS for the location. This app will reduce cost for taxi clients. Sudo:base is a team that was formed with the intention to provide system administration services for users of Linux databases and servers. This idea was developed and presented at first Startup Weekend Prishtina organized in December 2011, where the team won the second place. Digital Nomad’s idea is to provide a unique package to people who travel and are price sensitive. The Digital Nomad Pack - offers a package that would contain local SIM cards and map of Prishtina with wireless hotspots. This idea was developed and presented at the Startup Weekend Prishtina in December, where the team won the third place. Dida Toys is a team whose idea is based on the creation of teaching and learning aids for kids in order to make it easier for them to learn. This is a business idea whose purpose is to develop a special line of teaching and learning tools, respectively didactical aids for schools. The heart of Kosova-Online team is Nora Zhivoda from Prishtina who holds a degree of business administration from the South-Eastern Europe University in Tetove. Kosova-Online is a team whose business idea is based on offering information and services through a website but not just any kind of website. The essence of the Kosova-Online webpage is that it will offer useful information from landline numbers of emergency services, contacts of embassies and other important numbers and e-mail which have an important role in people’s life. MeMesazh is one of the five teams that during October 2013 were accepted at the business Incubator of ICK after the sixth Open Call for business ideas. MeMesazh is a simple and secure way to consumers to purchase products and services with their mobile device. Payments can be done through credit mobile phone directly with an SMS. Learn Albanian is one of the three new teams that are accepted in the pre-incubation phase at the Incubator of Innovation Centre Kosovo (ICK). Learn Albanian is a team comprised of 6 young entrepreneurs that want to be part of the business surrounding in Kosovo with their business idea of offering on-line courses of Albanian language. They want to offer courses in Albanian for foreigners but also for Kosovar children that currently live abroad. Learn Albanian won the second place at the third edition of the Prishtina Startup Weekend held during 9-10-11 November at the ICK premises in Prishtina. Xiik is oriented towards the creation and the design of 3D online games for the Android and iOS platforms. Their products will be used to deliver different values: from jump/run games for commercial campaigns to indie action and adventure games, promoting national and international culture and traditions. Xiik with its business idea 3D game “Janine” won the first prize at the third edition of Prishtina Startup Weekend organized during 9-10-11 November 2012 at the ICK premises. During the first edition of AppCamp Kosovo, held on on 2-3-4 November 2012, Xiik also won the grand price of 3,000 Euro and a trip to visit Mobile World Congress 2013 in Barcelona, and participate in the mobile startup competition. (Electronic Library - The idea was to create a web page in which material/literature would be published for studies. In this way the efficiency would increase for finding literature, saving of money for printing, saving time, relieving collaboration with colleagues and making possible to have it (literature) anywhere with you. This web page is already online and the way that how it is received from the students strengthens our beliefs that this idea will be successful. EDI-Online Training is a new tenant at the Innovation Centre Kosovo pre-incubation phase. This startup company plans to offer online trainings to interested companies in Kosovo. Edon Kurishi is one of the two members of EDI - Online Training team that is accepted in the pre-incubation phase at the Innovation Centre Kosovo (ICK). Kurtishi has a business concept that is related to that of offering online trainings mainly for the Kosovo public sector and to other small groups. EDI is an acronym for Education Development and Innovation. Pyllow team is initiated with the idea to bring value to society by building new communication bridges between people and services such as education and emergency. The product will be a highly sophisticated system of a technical device combined with a software developed by Pyllow. The system will enable highly efficient communication between communicating base and recipients. Its closest description will be that of a smart mobile system which will enable a selection of variations of messages to be sent from a local server to selected variables of recipients. 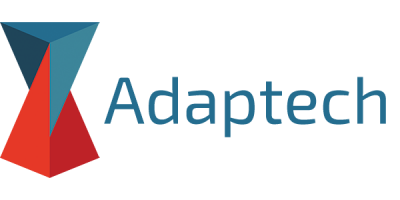 ARANEA Networks is a company targeting the provision of high speed, cost effective, wireless internet service to underserved populations in Kosovo. This team is designing network that will provide fast wireless internet using the most recent technology of Super Wi-Fi. Super Wi-Fi serves many customers at once without each customer needing their own wireless router. The company’s goal is to provide internet access to as many underserved people as possible. ButikOn has provided a unique online sales portal for Kosovo companies that sell apparel and related items on the local market. The portal will give retailers the opportunity to advertise their items on a huge and organized online community. Shoppers on the portal will be able to find the items they need and compare prices right from their computers. Ideal Technology is a team that focusses in a development of specific products used in housing that are combined with technology and electronic appliances. Three members of this team are students of the economy and mechatronics department at the University for Business and Technology (UBT). Our products are based on technology, says Durim Dabiqaj, one of the three members of Ideal Technology team that is part of the ICK incubator since March 2013. (WMKIT) kit is a custom made Arduino Kit ideal for learning electronics and computer hardware as well as home and school deployment. The business idea is to further develop and customize kits and sell them to universities and middle schools as well as individual students with the purpose to let them practically gain knowledge in computer hardware and electronics. Pllaka LLC is producing a product called Mobile recharger from a bike. With this product customer can charge the phone, while they are cycling. Ideator is a web platform for collecting ideas for any issues/problem from workers or crowd. It helps companies, educational institutions, SMEs, Municipalities, Political Parties, Corporates, etc. Noty company offers a device that warns its users not to forget things while they are at home, outside, coffee shops or other places. Noty can be attached to keys or to other objects, things that the client wants not to forget around. Noty can also function like a tracker. Seven offers one-stop-shop solutions for governmental, commercial and individuals such as B2B, B2C and C2B clients in Kosovo. Seven’s mission is to facilitate businesses in the region by offering best value, best performance and proper control for our clients. With the expertise of the Find Your Book team all interested can now search for the books and text books that they need by just clicking on the website or through the dedicated app that are being prepared by the six members of the team. Safe House is a team comprised of two young students that want to offer medical and care taking services such as helping elderly citizens and babysitting children in the homes of their children. Lirime is a company that aims to become the e-commerce platform in the Kosovo’s market. The company’s mission is to bring a seamless communication and interaction between businesses and consumers through the use of technology and service excellence. ValorLab is the name of the company and we are four minds behind the company. Our expertise is in product marketing through 3D Animation in Mobile Application with Augmented Reality - Google Cardboard, as well as Virtualization of architectural projects. AR and VR marketing provide a contemporary marketing model with the latest technology. Virtualization of architectural projects will allow architects to present their final projects visually, in 3D and through Google Cardboard, Oculus or Samsung GearOne. AudioBooks project is designed to create an application that enables users to stream their books through Audio format, wherever they are, to choose through a variety of books that will be in the application database. The idea is to bring a new spirit of understanding books into the culture of our country. Entertainment Videos will serve as an educational course. Looking at the interest of children in every aspect of life, we think that through short illustrative scenes, which will be published as videos on youtube, we will try to make it as attractive, fun and interesting to children as it is at the same time will be educating. During the first year, the focus will be on providing the most effective educational material, staying constant in what we will offer, then with the increase of staff and requirements, we will look at the opportunities of opening up education courses for small age groups. 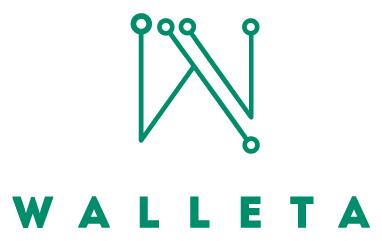 Walleta - we are building a wallet that will be able to charge your phone and secure your cash and cards. Also we are developing a mobile and web application that have the ability to locate your wallet and to store in the digital form all of the stuff that everyone have in their physical wallet. Member of two we created our own web platform with digitalization of art & artists and promotion of cultural events. Database of the death artist. 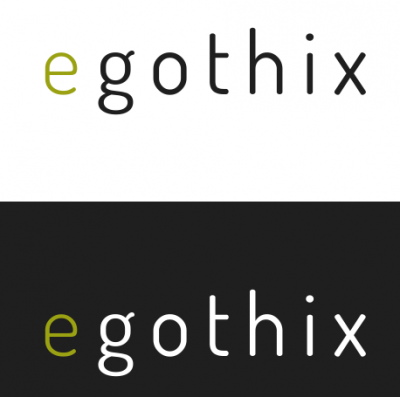 It started with a passion, and from that three men in 2016 took it to another level and started the company web design and development agency named eGothix. We are a digital agency focused on high quality and extraordinary creative projects. With a creative team and very committed which offers web design and development, branding, design app. Picasio helps you create, publish & analyze interactive content such as quizzes, and slideys that you can embed on your site. We develop mobile games for iOS and Android platforms. 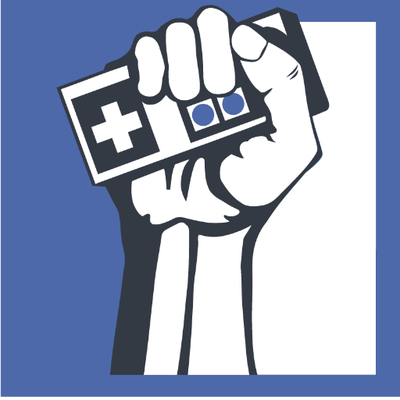 Our focus is in following the trends and making our games viral. MUG-E: an electronic thermal Mug which delivers your drink at the right temperature every time. It has smart features ranging from temperature setting (real-time) to smart features and connectivity with other smart devices. Right temperature always, machine washable, connected, design for everybody, battery-powered (cordless). Kerko.Info service is Online Marketing. The web page we are creating is going to provide people with free of charge information about businesses, restaurants, coffee\‘s, clubs, trading centers and the offers from all of the above. Info&Telecommunication creates interactive boards with projector. We are the only company in region that develop this product. Tourism Kosovo is a team of two members who created a website for tourism, targeted for Kosovo. This website aims to inform people interested to visit Kosovo, diaspora and also citizens from Kosovo about different aspects of tourism (sites, events, history, accommodation etc.) including daily news about different activities happening throughout Kosovo. Ambitious students of eight established a startup company in April 2016. We are currently working on our initial innovation idea - Prishtina Live Guide. As a company we are oriented on developing powerful applications regarding mobile and web platforms. 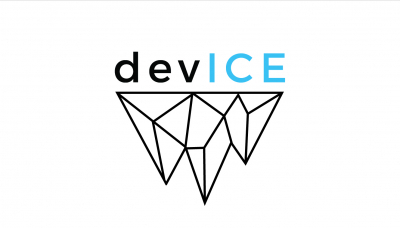 Team devICE has setup its objectives of what it expects to achieve in the upcoming years. Our aim for the future has evolved on providing quality services and becoming a leader in the field of software development. 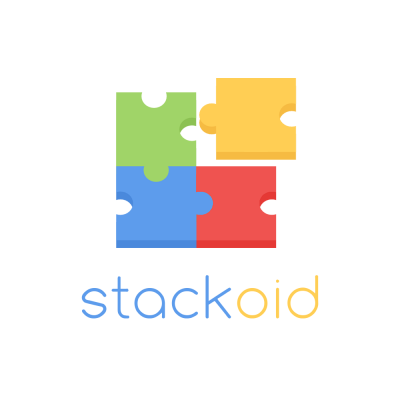 Stackoid is a company whose aim is to offer solutions for daily problems in an innovative manner, by developing intelligent mobile and web applications. The first project of our company is entitled “SmartRoads” and it is a system that provides information pertaining the traffic in the cities of Kosovo. In addition to that, we develop web and mobile applications according to your personal requests or your company’s requests. Currently a team of two people trying to lower the cost of working with a 3D printer and saving the environment by recycling plastic. 3D printing is advancing and spreading really fast and the amount of plastic that gets wasted is getting higher everyday. So our solution is a desktop plastic extrusion machine. We believe that we should advance technologically but also protecting the environment at the same time, and making peoples life better and cheaper. Evento is a platform that enables event planning by providing access to events that happen around us regardless of their catagory. SelfCareApps is a company that develops web and mobile applications with a particular focus on the telecom sector, including facilitating service access for clients of mobile phone operators. Are you in the early stages of your startup? Are you brewing a new startup idea? Become one of the tenants in our incubator and learn more about what we offer.